A controversial congressman has come under fire after filming a political video using Auschwitz as its backdrop. 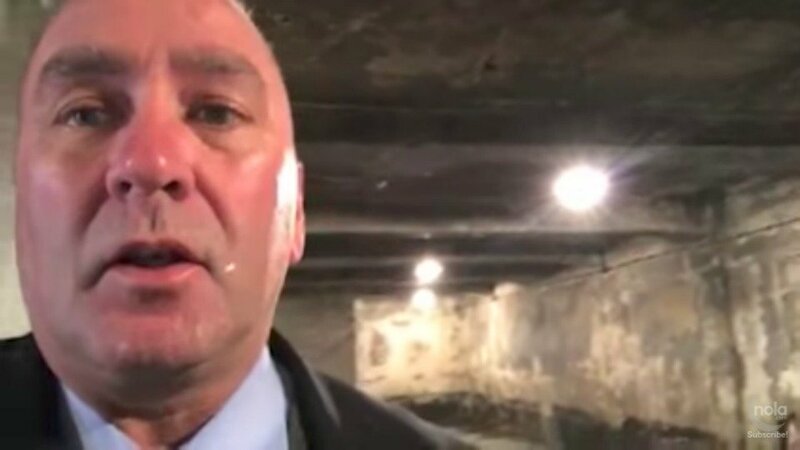 U.S. Rep. Clay Higgins, a Republican from Louisiana, posted the video over the weekend and has since taken it down. The video shows Higgins walking through Auschwitz and making commentary as he does so. He uses the site where at least 1.1 million people were killed to draw comparisons to a need for stronger homeland security. Higgins refers to the victims who perished at Auschwitz as “innocent civilians” and makes no reference to the fact that the majority of them were Jewish. Rather, he uses the video to further his personal political agenda. “This is why homeland security must be squared away, why our military must be invincible,” Higgins says. The museum then followed with a second tweet of the sign right outside the gas chambers that visitors must read before entering. The sign requests that visitors stay silent out of respect for the victims’ memories. “I have always stood with Israel and all Jewish people, and I always will,” Higgins said. The Anne Frank Center rejected Higgins’ apology. “. @RepClayHiggins where were you when Spicer said Hitler didnt use chemical weapons or when @POTUS excluded Jews in Jan Holocaust remembrance,” the group questioned on Twitter. Higgins is a former sheriff’s captain called “Cajun John Wayne” and referred to as “a local legend” by Fox News. He came under fire last month when he responded to the terror attacks that took place in London. “The free world all of Christendom is at war with Islamic horror. Not one penny of American treasure should be granted to any nation who harbors these heathen animals,” he posted on Facebook. President Trump has made waves of his own in the Jewish community, notably in January when he made no reference to Jews in the White House’s statement on Holocaust Remembrance Day. In April White House press secretary Sean Spicer said that Hitler “didn’t even use chemical weapons” neglecting the millions who were killed in gas chambers. In Higgins’ viral “Crime Stopper” video, he threatened to hunt and trap suspected gang members.